Ford unveiled the all-new 2020 Escape in dramatic fashion by turning the fabulous Henry Ford Museum’s Greenfield Village into “Escapeville.” The automaker seated members of the media on bleachers, but in a moment of trickery, it turned out said bleachers were mobile (insert Jim Hackett “mobility” joke here), while the Escape drove forward from under them. Quite the effort, but it shows how important the Escape is, especially to Ford’s sedan-free future. Initial press reaction to the Escape’s frontal appearance was, “huh … unexpectedly nice.” Following the moving bleacher introduction was a trip down a fictitious “Main St., USA,” with groups of actors playing out scenes of 2019 Americana, doing things that Americans do. Playing basketball. Unloading suitcases. Dancing, singing, and playing instruments. A man in camo returning home from war, presumably, with a dog that was being fed many treats to comply with his military master’s directions. As we passed over an intersection, the first car left and three more entered our field of view. The whole town joined in celebration around the new Escapes as the music ended. As we sat in the middle of a transformed Greenfield Village, I couldn’t help but wonder … is Ford trying to convey that the new Escape might be to today’s market what the Model T was to America a century ago? That might not be far from the truth, at least in Ford’s lineup. The Escape has moved to a new front-wheel drive platform that also underpins the European Focus. 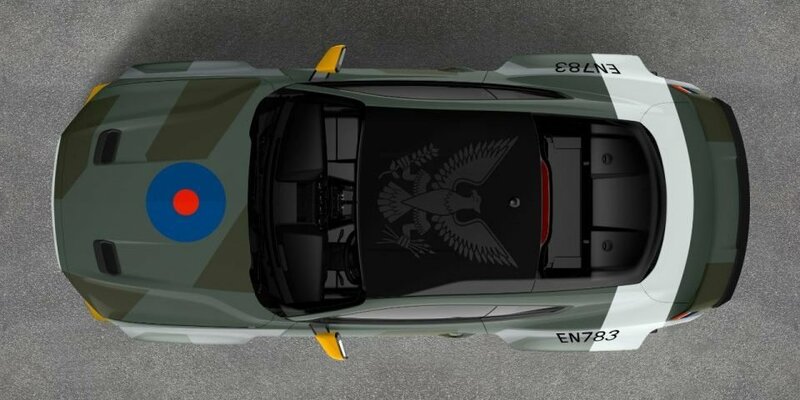 In doing so, the model’s design has clearly made a move toward that of a car/hatchback/station wagon. The stance looks wider, with bumper and rocker heights appearing closer to the ground. Viewed from front and side, the Escape’s styling is conservative yet handsome; not trying to make a statement. The roofline leads into a significantly sloped rear hatch. Had a single Ford employee used the word “coupe” in the product descriptions, I’d have walked right out. Thankfully, they didn’t. But the rear end of the car is much busier than the rest. It looks like the wind tunnel determined the design, leaving it nondescript and a bit awkward. Look at the protruding, wraparound black lower bumper, then try to unsee it. All in all, the design is appealing, if pedestrian. There’s little to distinguish it as a Ford, save for the outline of the front grille. If someone slapped a Kia badge on the front and drove it past me, I’d likely assume it was a Niro. That said, I feel this is the design direction that SUV-crazed buyers prefer. Everyone thinks they want an SUV, but what they really want is a slightly higher seating position (compared to a sedan) and the flexibility of a hatchback. Welcome to the tall-hatchback-with-available-AWD 2020 Model T segment. Was the Dodge Caliber the right car at the wrong time? Inside the new Escape, the news isn’t 100 percent good. While certainly an upgrade over the outgoing model, the improvements are mostly in terms of cargo and seating flexibility. The second-row seat slides 6 inches fore/aft to exchange leg room for cargo space, while both front and rear seat positions have more head and shoulder room than the outgoing car. Up front, the gearshift has been changed to a rotary shifter, opening up space on the console. The dash- and door-panel material selections appeared far too rubber-like, while the wood-look trim appeared to be light-brown plastic with dark-brown strakes brushed across its surface. The seats and steering wheel felt comfortable and well-positioned, while the instrument cluster has an available 12.3-inch all-digital display, with no physical gauges at all. 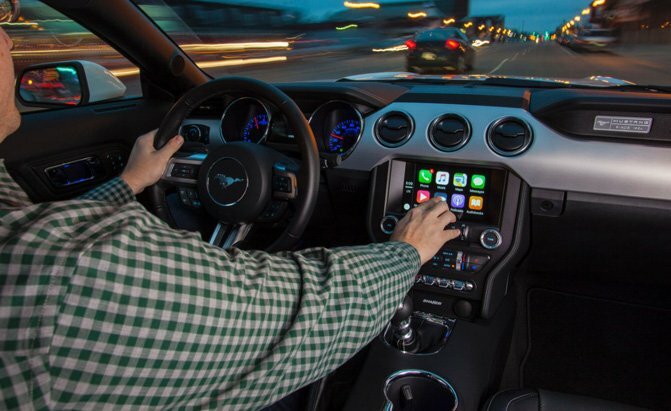 There’s an available 6-inch head-up display screen ahead of the driver, while the center infotainment unit is an 8-inch capacitive touchscreen with Ford’s Sync 3 infotainment system. That touchscreen works much like your cellphone, meaning there are no secondary controls. The base unit is a 4.3-inch non-touchscreen that apparently does have physical controls. Cue my rant about how tablet-style infotainment systems are a scourge upon interior automotive design and cue my other rant on how touchscreens shouldn’t be the primary method of control in a car where you’re moving and bouncing around. I feel that they’re too far away to control accurately, you spend too much time correcting your fat-fingered missed inputs, and they smudge. I’m sure there are studies to prove me wrong, but until I see them, that’s my stance. On-board 4G LTE Wi-Fi, wireless charging, and up to four USB ports – with two of them being USB-C, will be available. Only one of each of the USB ports will be available immediately at launch, though. The new Escape is powered by any of four powertrain options. Buyers can choose from two gas options, a hybrid, and a plug-in hybrid. The base engine is a new 1.5-liter EcoBoost turbo three-cylinder that’s expected to make 180 horsepower and 177 lb-ft of torque. 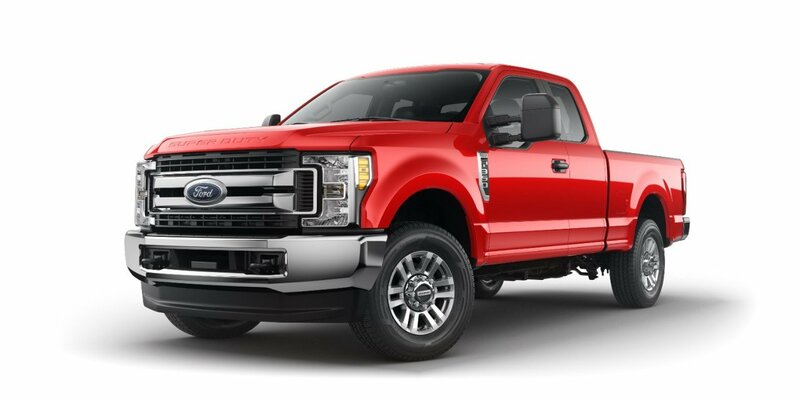 The upgraded gas engine is a 2.0-liter EcoBoost four-cylinder, expected to make 250 hp and 275 lb-ft of torque. Both will pair with a new eight-speed automatic transmission. Towing capabilities are 1,500 and 3,500 lbs, respectively. Perhaps the biggest news here is that the new Escape has dropped more than 200 pounds from its predecessor, at least in base FWD trim. A new FWD S model tips the scales at a relatively svelte 3,299 lbs. Sure, some of that loss comes from chopping a cylinder off, but there’s a fair bit of aluminum use in components like the hood, suspension control arms, mini-spare, and in the bumper beams, as well as use of several variants of high-strength steel in the body structure. By my quick fact check, that would make it lightest in its class, at least for the base FWD model. The hybrid options both use a 2.5-liter Atkinson cycle four-cylinder and an electronic continuously variable (e-CVT) transmission. The standard hybrid has a small briefcase-sized, liquid-cooled 1.1 kW-hr lithium-ion battery stored under the right rear passenger floor. The combined power is an expected 198 hp, and the hybrid is expected to provide a 550-mile driving range for the FWD variant. It is also available with AWD. The plug-in hybrid will use a much larger 14.4 kW-hr battery that spans the rear passenger floorboard and prevents the fitting of a driveshaft. Therefore, the plug-in hybrid is FWD only. It is estimated to have 209 combined hp and an electric-only range of 30 miles. The neat trick here is that Ford offers four EV modes that allow drivers to decide how they want to use the battery’s energy. EV Auto, EV Now, EV Later, and a new EV Charge Mode are available, depending on the environment the driver is in and where they’re headed. Selectable Drive modes refine the ESC, AWD (if equipped), transmission, engine, and EPS (electric power steering) calibration for the task at hand. Normal, Eco, Sport, Slippery, and Snow/Sand are the available options. I was assured that these were all available on the FWD version, as well. The move to the new FWD Flexible Architecture and the decision to go in a more car-like direction throws a bit of a softball to the vehicle dynamics team, since numbers like a 200 lb weight reduction, a 10mm lower roof height, 20mm wider track, and 20 mm longer wheelbase mean they had a much-improved platform to work with. With 17-, 18-, and 19-inch tire options across four powertrains, there was surely plenty of tuning to work through, though. Two significant changes include an isolated rear cradle and electric power steering. Electronic power steering was a critical addition to the car in order to support all the advanced driver aids that come on the new Escape. Ford’s Co-Pilot 360 comes standard on every 2020 Escape. This includes blind spot Information system w/ cross traffic alert, lane-keeping system, auto high-beams, and pre-collision assist w/ automatic emergency braking and pedestrian detection. Additional technology offered includes Active Park Assist 2.0, evasive steering assist, and adaptive cruise control with Stop-and-Go and lane centering. The next Escape offers the expected content, hybrid models, and the usual suite of driver’s aids. 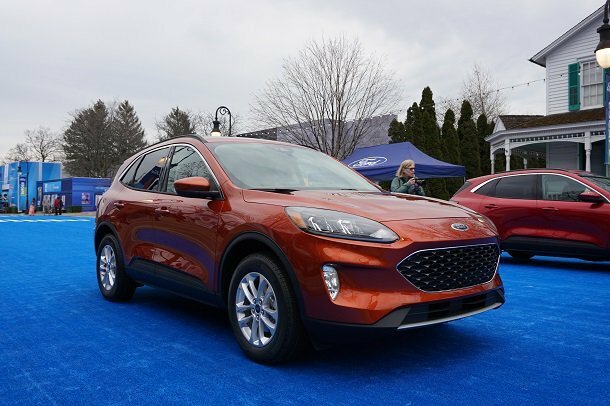 With the benefits of expected leaps in driving dynamics, NVH, and fuel economy, will buyers appreciate the more car-like direction of the 2020 Escape and make it Ford’s modern-day Model T? 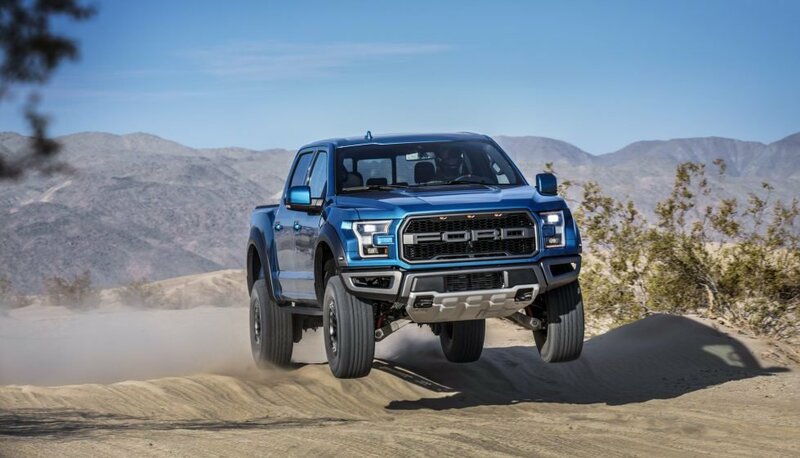 While Ford certainly hopes so, it also has a backup plan in the form of an upcoming new “Small Rugged Utility” vehicle built off the same platform. We’ll have to stay tuned for that one.